KateFest (a.k.a. Life As I Know It): Shoes! 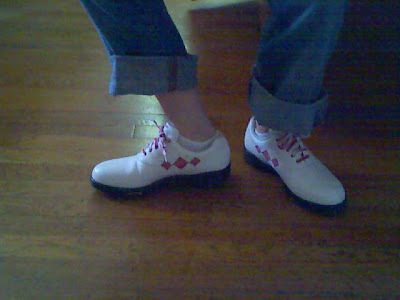 One of THE best things about my new sport golf is the wardrobe. Today I went to Sports Authority and was, at first glance, disappointed that there were no saddle shoes in my size. 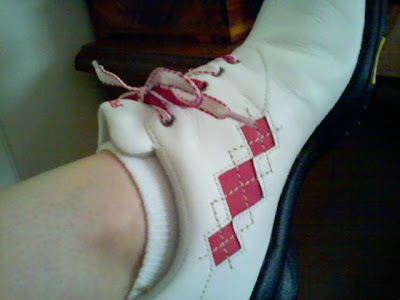 I love me some saddle shoes. But then I spotted them. Pink! Argyle!